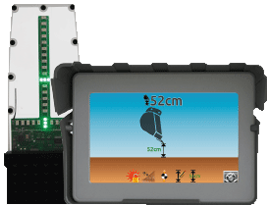 With the iDig system you can manage distances, depths and desired slopes. The combination of advanced technologies is unique in the world: no cables, radio communication, simplified installation and solar charging. 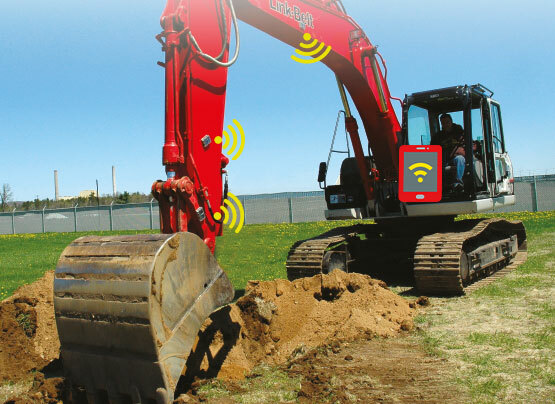 The user interface has been designed with excavator operators and can be appreciated by all. 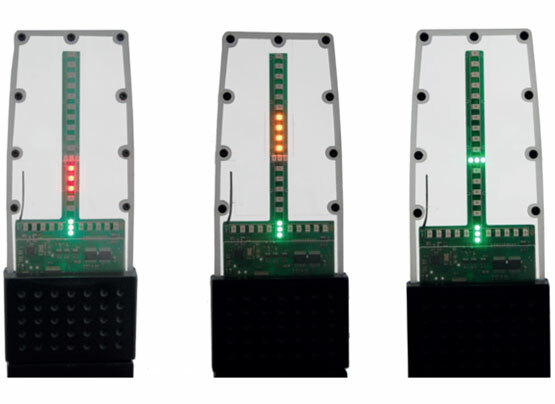 The bargraph and LED display guides you in the same field of vision as your bucket and makes the iDig an ideal daily tool for you. 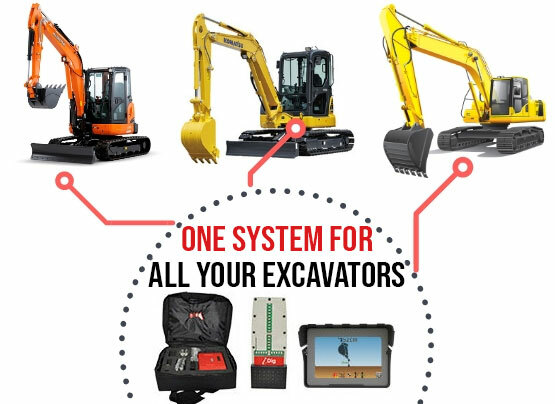 Do you have several excavators? Perfect, we made a removable solution that attaches in seconds from one machine to another. 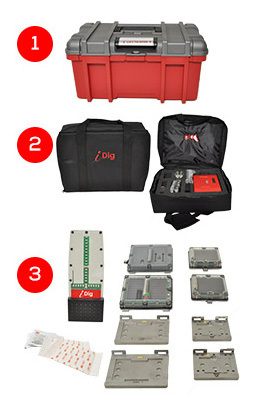 The iDig can save as many excavator and bucket profiles as you want. 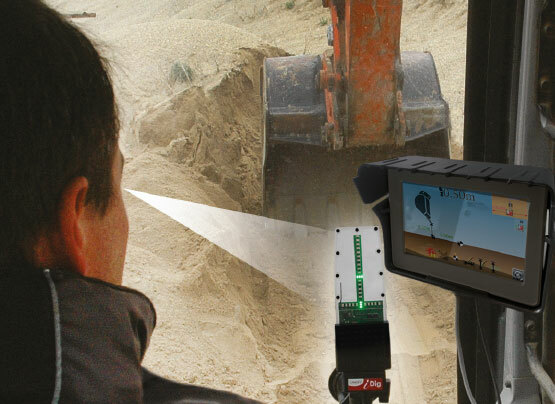 In the morning you attach on the sensors, the control box and the LED bargraph, then select the right excavator. Less than an hour is the average time you need to install the system. Once done, you do not have to do it again. The iDig keeps in memory the exact dimensions of your excavators. Installing the iDig is really simple: attache the 3 sensors, the control box and the LED bar in the cab and start working. No need for a technician, you do it yourself by following the on screen instructions. Everything is in a box! The iDig is a complete system. All details have been designed for your comfort and to start working as soon as you have it. 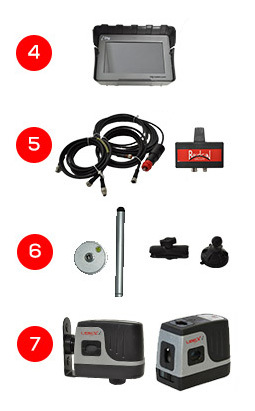 Professional equipment tested and proven for years. Immerse yourself in a new era in excavator operation. Discover all the possibilities offered by a 2D grade control system on a daily basis and the many benefits for your productivity and safety. Need information about our products or our services?